Hello, all. Welcome to the new followers [something I forget to do, so this may go back a while]. I am hearing you loud and clear, everyone: More Hoppers! If they are going to sustain this level of enthusiasm at this time of year, then I say, More Hoppers. 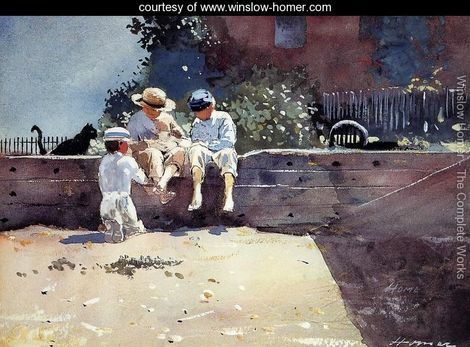 But first, a Winslow Homer, deliberately without title. Write what you see. Here is the link to the first Hopper exercise, with guidelines, if you wish them. If you are feeling a burst of energy, try something you have not tried yet, with the writing of your poem, a different approach, different form, different part of the painting. Be warned. I am looking over January and I shall only be nice the week back from my own holiday. After that: MUAHAHAHA! But, I shall salt art through the exercises this coming year. You enjoy it so and I enjoy your enjoyment. I shall see you Friday for the weekly roundup of prompts and exercises. Then I will be dark until the first week of January. What with Hanukkah, Christmas, and New Year’s, I’m thinking everyone’s brain needs a rest. But, even when caught up in the fun and frenzy, we never stop being writers. Jot notes of imagery, scenes you notice, bits of conversation. Take photographs to remind you. Above all, enjoy. Happy writing, all. Oh, and the first issue of Curio is up and is lovely. Go visit and read the poems. Thanks for the Homer, Margo. I’m not certain I got what I was going for, but enjoyed the trip. And they do say the trip is what it’s about, don’t they, bc? Glad you took the Homer. He is one of my favourites. I didn’t really know where I would go with the picture, but “The Movies” led me where it wanted me to go! Don’t you love it when things do that, Mary?! First time posting here, and first trying to put a painting to poem. Or, a poem to a painting? Love all three of these; think I am going to have to come back to each…. Love the sight and what you are doing to inspire. Thank you. What? Where have I not moderated you, Mark? Okay, I’ll go look. I must have missed you somehow. Pamela, I am so glad to see you do that! Every now and then I find myself staring at something like that, lol. 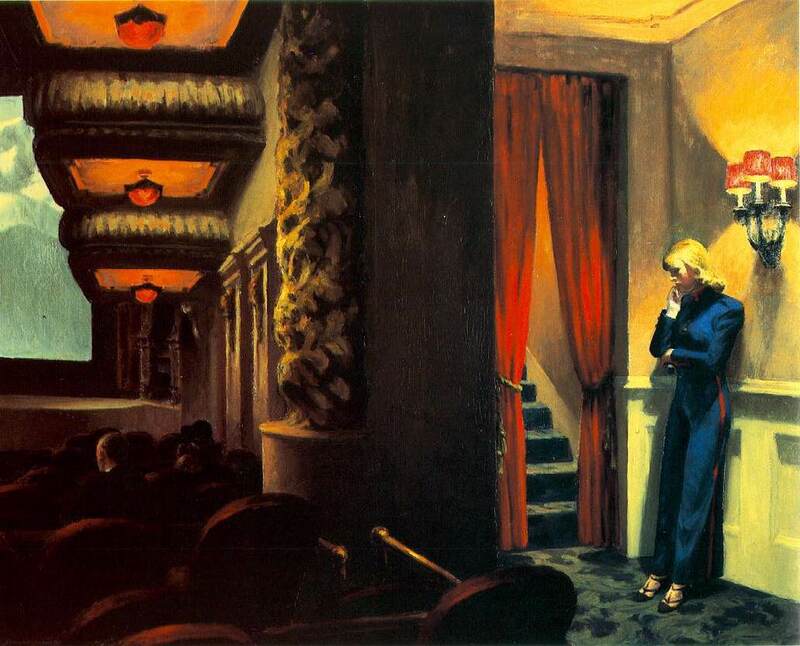 I went looking for paintings similar to Hopper’s, ViV. I now have a collection of Homers and, surprise, Rockwell. You shall see them in the new year. Alexandra — it’s absolutely okay to post in comments. Interesting poem. I liked not knowing where the poem was going and being delightfully surprised at where it went. You set up the final stanza, well. Thank you, Margo! I enjoy writing very much, and I feel very empowered by support. However, if I post something that’s just no good, please feel free to tell me. It won’t crush my spirits, it’ll encourage me to write more and better! You made me laugh, Alexandra. I’ll make note of your note and keep an eye out for things you can play with in revising. I’m so proud: I’ve just added images of ‘Chop Suey’ and ‘New York Movie’ to my blog (I know it’s not a big deal, but as I’m just starting out, I’m excited about every tiny achievement.) Come visit http://www.thehappyamateur.com anytime, it’ll make me even happier! I left a comment over there, but, I wanted to add a general comment. 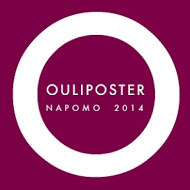 I love your explanation of your blog name and am fascinated with the fact that amateur comes from the root for love. Thank you so much for visiting my blog, Margo! I’ve already been considering WordPress, it seems to have more features, and I think it’s more fun, too. I’ll probably switch. I did another Hopper. Better late than never. Hopper does have that effect of not leaving alone. I like that description, Paula. I will be interested to see what effect my next artist choice will have. 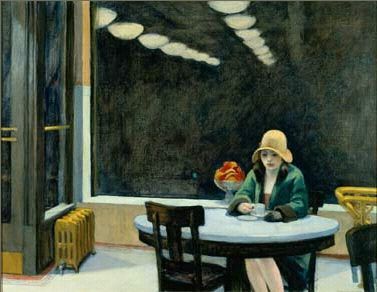 I will stay close to Hopper, as he seems to have been a general success.